I never had him as close again, never got to talk to him again. As I published the first volume of the biography, one of his agents let me know that it hadn’t displeased him, nothing more. 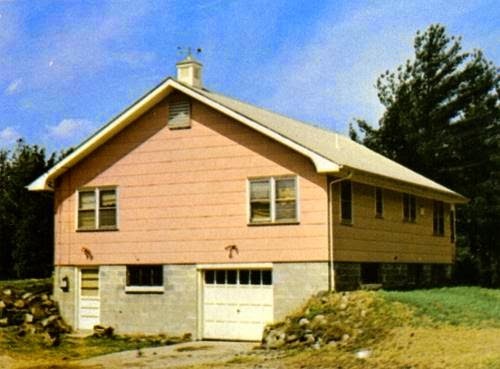 This goodbye scene in the back part of that pink house, which was the home of the greatest miracle of the summer of ‘67, has accompanied me throughout my whole life as part of the movie of a dream, like the dream of a movie that ends with a perfect farewell. I found myself mulling over this idea during some of my sleepless nights in the caravan, sometimes talking to Richard and other times writing short stories about the distinct facets of goodbye -from vanishing until absence, including oblivion and its outskirts-, unable to note more than a meager repertory of incomplete farewells that would go on to amplify with the passing of the years and -I couldn’t have known it then- the tenacity of the losses. The manner he chose that morning to greet me by leaving showed that, yes, perfection was possible in the act of distancing oneself, and in a double sense: because it would be definitive and because his farewell, closing that dreamlike movie, had placed into my hands a gift that opened the door for me to invent another one, others… And I would know what to do with his present, he’d said. Dylan was sure of it.